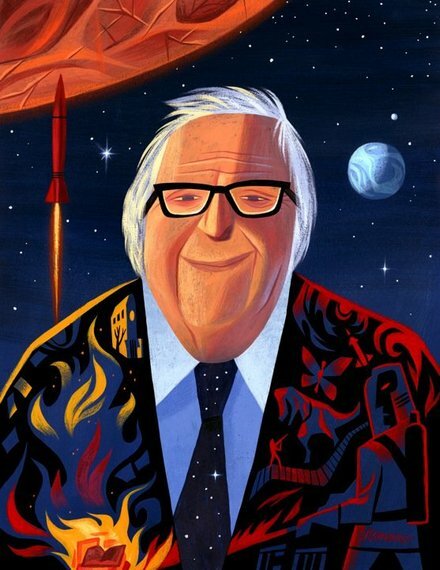 Ray Bradbury was born on August 22, 1920, and so this year he would have celebrated his ninety-fourth birthday. But, sadly, this man, this teller of tales, who I had assumed out of love would have made it to at least 100, died in 2012. He is missed by millions of readers worldwide who had not only enjoyed his books, but found them to be highlights of their reading lives. And he is missed in a more particular and personal way by his many friends and colleagues, among whom I count myself. Ray, of course, is not really gone. An author of his genius, his very individual voice, achieves an immortality -- or at least a vastly longer than normal lifespan. And to read his novels and short stories is to know Ray. But who you come to know is Ray as his "literary personae," as the novelist Jane Smiley has defined it in her book, 13 Ways of Looking at the Novel. To know the man, the working writer, the husband and father, the lover of books himself, you must turn elsewhere. 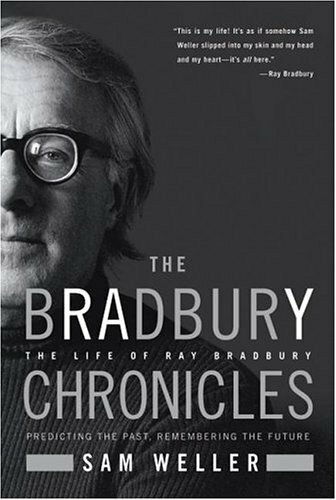 May I recommend five books on Ray Bradbury that all serve as introductions to the man, and as time spent with him. Weller's is the authorized biography. 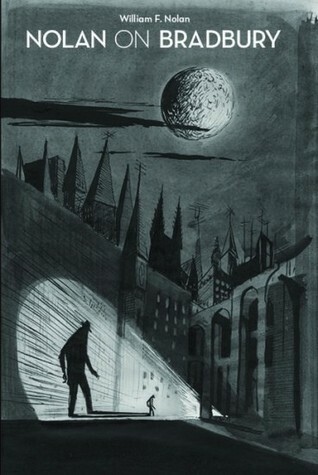 Weller spent hours interviewing Bradbury friends, family, colleagues and Ray himself. He also had full access to Ray's archives. What he has produced is a fine accounting of Ray's life giving you a portrait of Ray and his vibrant and unique personality. Eller is a professor of English at Indiana University-Purdue University in Indianapolis, the senior textual editor of the Institute for American Thought and the cofounder of the Center for Ray Bradbury Studies at IUPUI. 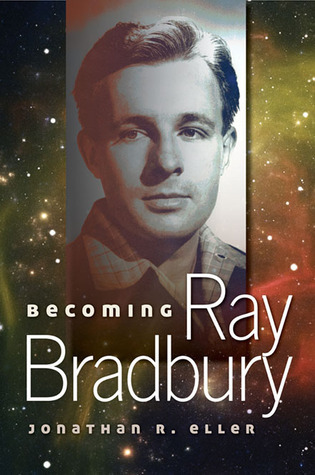 His book is the first of three (the second, Ray Bradbury Unbound will be published next month) "biographies of the mind." Eller's is a more academic book that Weller's, but don't let that put you off. It is a stunningly good examination of what in Ray's early life turned him into the unique, individual writer he became. 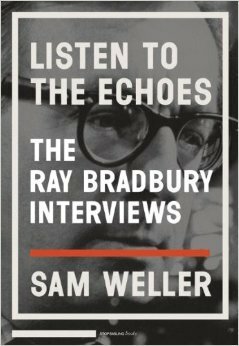 If in reading Weller's The Bradbury Chronicles you say to yourself, "Gee, I wish I could have been there when Weller interviewed Bradbury -- well, now you can. Weller has put together hours of his interviews conducted over a decade with Ray as he was preparing to write his book, and has generously allowed us to sit in. Nolan knew Ray as well as anyone, was mentored by Ray, studied Ray and wrote about him over many years, much, if not all, of that writing collected here. Nolan, a well-known science fiction writer, gives the reader a personal take of Ray, but an honest one as well. This small book is a collection of eight essays I wrote about Ray including the title piece written for the Los Angeles Times, and "The Man Who Was Himself," my memorial appreciation of Bradbury commissioned by the Science Fiction & Fantasy Writers of America for the Winter 2012/13 edition of their quarterly magazine,The Bulletin. 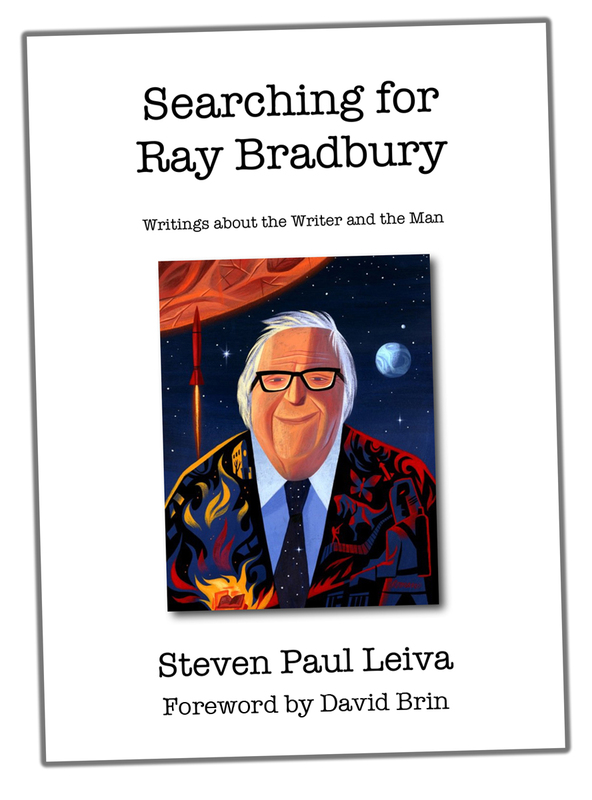 It also includes an essay about my creating and organizing Ray Bradbury Week in Los Angeles, the official Los Angeles celebration of Ray's ninetieth birthday in 2010. All these books are available from Amazon.com, of course, but if you'd like to honor Ray you might consider ordering from his favorite bookshop in his later years, Mystery & Imagination Bookshop. You can call them at (818) 545-0121. The portrait of Ray at the top is by the great Lou Romano. Steven Paul Leiva's latest book is Searching for Ray Bradbury: Writings about the Writer and the Man (Blüroof Press) and By the Sea, a comic novel, will be released later this year by Crossroad Press.